The ceremony of offering the commemorative cross to the veterans of the Afghanistan war will take place between February 8 and 22 in all the districts of the country. The activity of the Ministry of Defense is organized in cooperation with the local public authorities, in the context of the 30th anniversary of the Russian troops' withdrawn from Afghanistan. 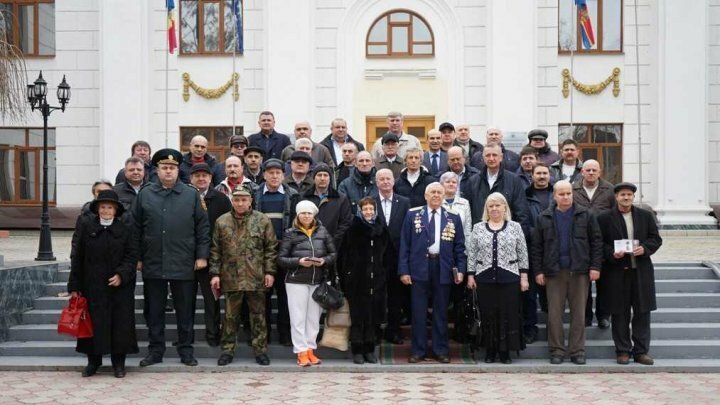 By this moment, 2 100 veterans from Basarabeasca, Chişinău, Edineţ, Floreşti, Ialoveni, Orhei and Soroca received their permits to attend the event. The others will be decorated in February month of this year. The commemorative church is elaborated by the Afghanistan War Veterans Union of the Republic of Moldova in cooperation with the National Commission of Heraldica. Attributum SRL made this cross. The state allocated two million lei for this project. This year, over 8 500 veterans will be decorated with the commemorative cross.